Michael Townsley has more than 20 years of experience in academic services, financial systems, budgets, marketing strategy, payment plans, IT administration, ancillary operations, and site management. 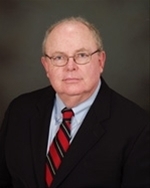 Mike is Senior Consultant with Stevens Strategy and former President of Pennsylvania Institute of Technology. During his 20 years as Senior Vice President for Finance and Administration at Wilmington College, he played a key role in making it one of the fastest growing private colleges in the country. He is the author of The Small College Guide to Financial Health: Beating the Odds and CD’s entitled The Financial Toolbox for Colleges and Universities and The Strategic Turnaround Toolbox, all published by NACUBO between 2002 and 2005. His newest book, Financial Strategy and Management Guidebook for Presidents, Chief Administrative Officers, and Boards of Trustees in Higher Education, was recently published by Stevens Strategy. Dr. Townsley holds a Ph.D. from the University of Pennsylvania. His dissertation analyzed the impact of market share on pricing policies. He also holds degrees from University of Delaware and Purdue University. His additional training includes work with Lilly Endowment and Columbia University. Dr. Townsley has published widely and conducted studies on the financial structure of colleges, universities and for-profit institutions.